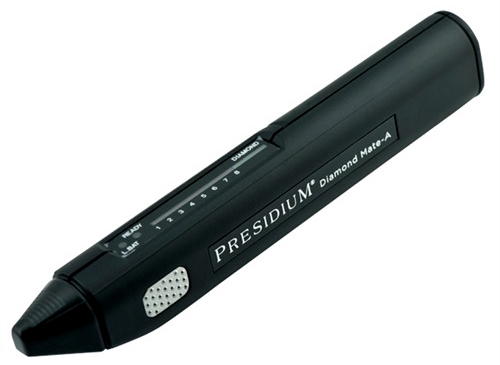 * Utilizes proven thermal conductivity testing method to verify the authenticity of diamonds. * The result is indicated by clear, bright lights as well as distinctly audible beeps. * It features a very short warm-up time and no waiting between tests. * The unit will warn against metal as well as indicate low battery.